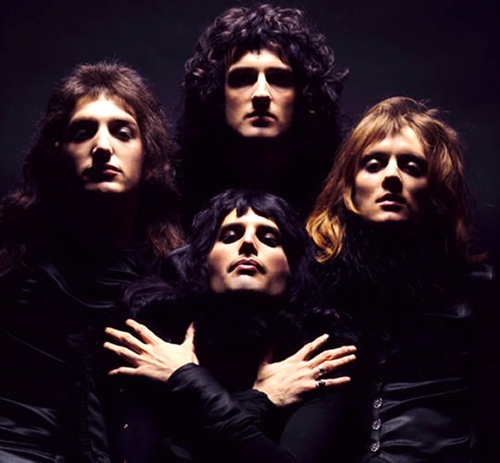 Little Thing: The Song “Bohemian Rhapsody” by Queen. Today is the first day of 2014. For several years, my friend and I have gone low-key with NYE festivities by eating dinner at Carraba’s and going to the movies to ring in the New Year with some of our favorite actors/actresses. Last night, we saw Anchorman 2 and American Hustle, thereby ringing in the New Year with Christian Bale and Bradley Cooper (not a bad combination). These aren’t the only movies I see during the year, however, and some of my blogs will probably be movie reviews. As a quickie: Anchorman 2 is utterly hilarious, and Steve Carell’s character is side-splittingly funny. It was a great way to start our double feature. American Hustle is right there in line with past Oscar nominees, which I predict it will be one. Christian Bale’s acting is flawless, Amy Adams is awesome, and Bradley Cooper has REALLY nailed the freak out scene between this one and Silver Linings Playbook. With both of these movies, I was lost in the 70’s through the costuming and the soundtrack. It was marvelous. Why am I starting a blog? Because I love to write. I’ve had a few things published, and I’ve got a few irons in the fire, but besides Facebook posts, I don’t write as much as I should. I thought about a theme blog (teaching, cooking, cleaning, etc. ), but I realized that I’m interested in way too many things to blog about just one theme. So I’ve narrowed it down to the little things in life. Sometimes those little things become big things, so even this theme isn’t set in stone. So here’s how the blog is going to go. 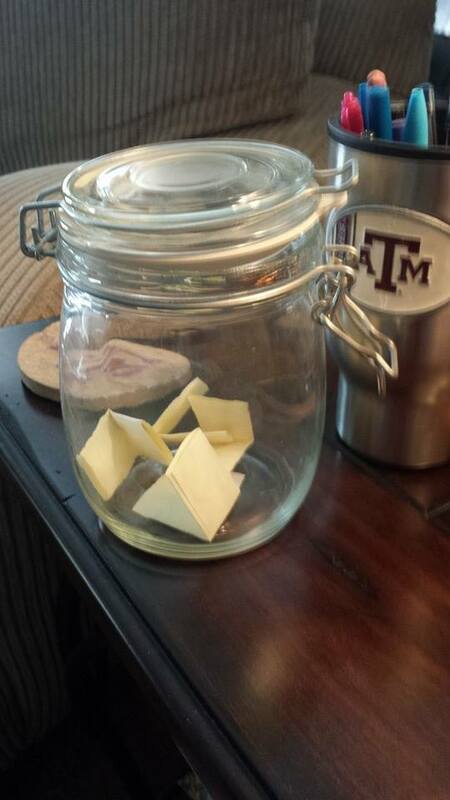 I have a jar into which I am putting slips of paper upon which are written the little pleasures I find in life. (Notice the syntax that doesn’t end my sentence in a preposition? Grammar is a little thing). I’m trying for each blog to begin with one of the little things as the title. The body of the blog will be about things that are super-duper important to me, which could mean just about anything: Jesus, singing, movies, cleaning, things my kiddos say or do, football, food, pedicures, fuzzy things, A&M, answered prayers or things I’m praying about, new adventures and new hobbies, old adventures and old hobbies, or a million other things. So here’s the new adventure. Enjoy!